Prior to 3 years ago, we were just tournament fishermen. Like all other competitive anglers, we spent all week looking forward to the weekend and fishing a tournament. We are very fortunate that Lake Sam Rayburn offers tournament anglers the opportunity to fish in a tournament about 40 weekends a year. Just like any 'addict' has a hard time going without a 'fix', tournament anglers can't stand to go a weekend without an opportunity to compete. We started noticing several weekends where we didn't have anything to fish on Rayburn. This is where Outlaw Outdoors came into existence. We started out as just a couple putting on a tournament for a few of our buddies, but with both of us having extensive experience in event planning and production, and as the tournaments became more and more popular, we realized there might be an opportunity to take our tournaments to the next level. Fast forward three years and now we will produce 15 tournaments in 2019. We will ALWAYS be about the fishermen, and we've made it our goal to always put the fishermen first. After all, without the fishermen, what do we have? We strive to run not only an efficient registration process, but a quick weigh in. We understand after a long day on the water, you don't want to stand around waiting on a long, drawn out awards process. You want to get your check and get home. We make that happen. Stacy is a graduate of Texas A&M University. Stacy is the organizer, webmaster and secretary of Outlaw Outdoors. Clint is a graduate of Stephen F. Austin State University. 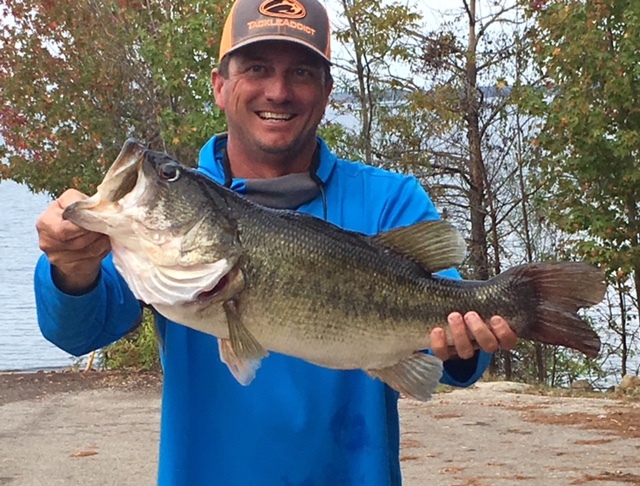 Clint is the dreamer , innovator and Tournament Director at Outlaw Outdoors.